Kids need to get at least 60 minutes of heart-pumping exercise every day. If your munchkins are already sporty, that goal really isn’t too hard to reach. But if your kids aren’t naturally athletic or just aren’t into competitive sports, you may have to work harder to get them moving. (And P.S. this is true for all kids who love their screen time…which is basically all of ’em!). The good news is that you don’t need to get that hour in all at once. Five minutes here. Ten minutes there. It all counts. 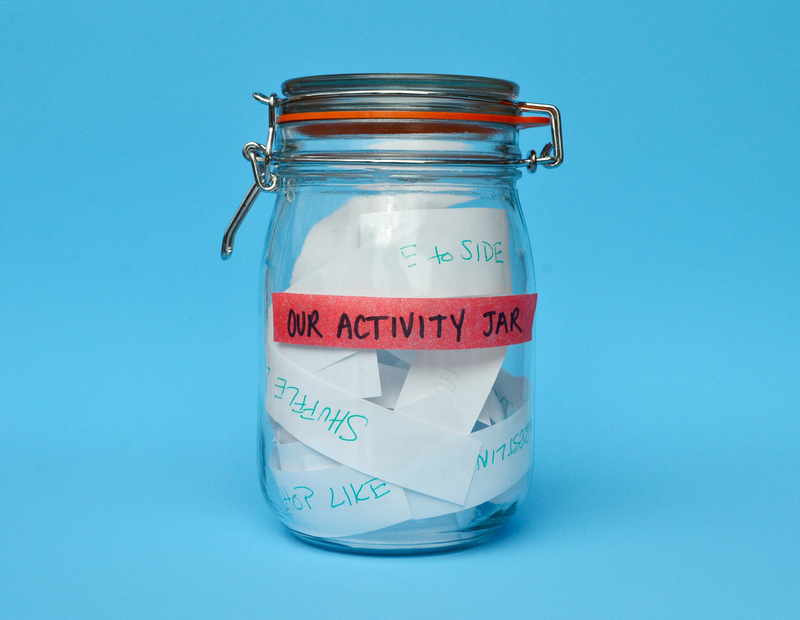 That’s why we love the idea of making an activity jar. All you need is a container of any kind filled with ideas kids can pull out one by one. We’ve given you a head start: Just print out our list of 30 ideas, cut along the lines, and put them in your jar. Feel free to add your own…and definitely encourage your kids to decorate it! Be sure to leave it in a prominent place, like in the family room or even where your child does homework. (Did you know that exercise improves kids ability to focus?!). Have him take a short break in between subjects and shake his booty for a few! Get a printable list for your jar by clicking the button above or just keep reading for inspiration. And if the kids are ready to really make a commitment to be more active, encourage them to sign the Shake My Booty pledge! Balance on one leg for 10 second. Switch sides. Previous post: Let’s Play Superfood Bingo!